We most often come across four way traffic jam in our city. 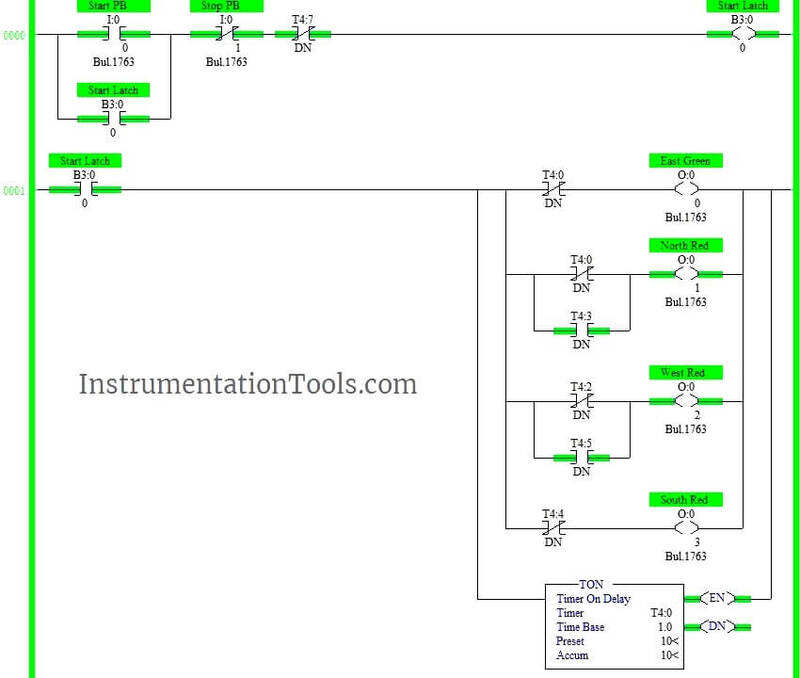 This PLC ladder logic gives the solution to control city traffic using programmable logic control. Reset using timer done bit at the end to run the program continuously. 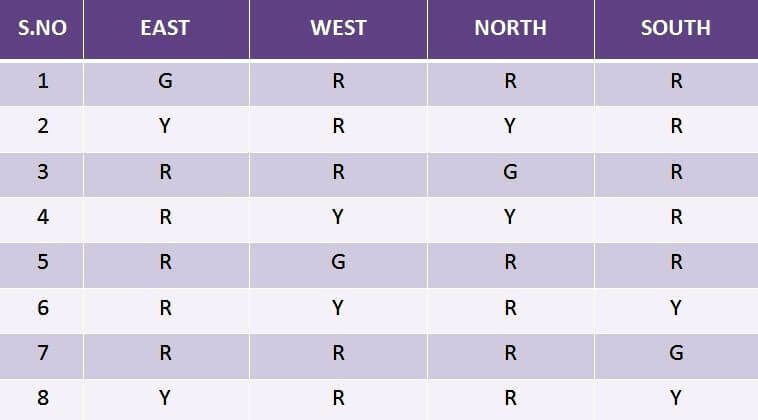 Latching rung to operate the system through Master Start and Stop PB. Starting the timer to turn on output East Green ,North-South-West are in red. 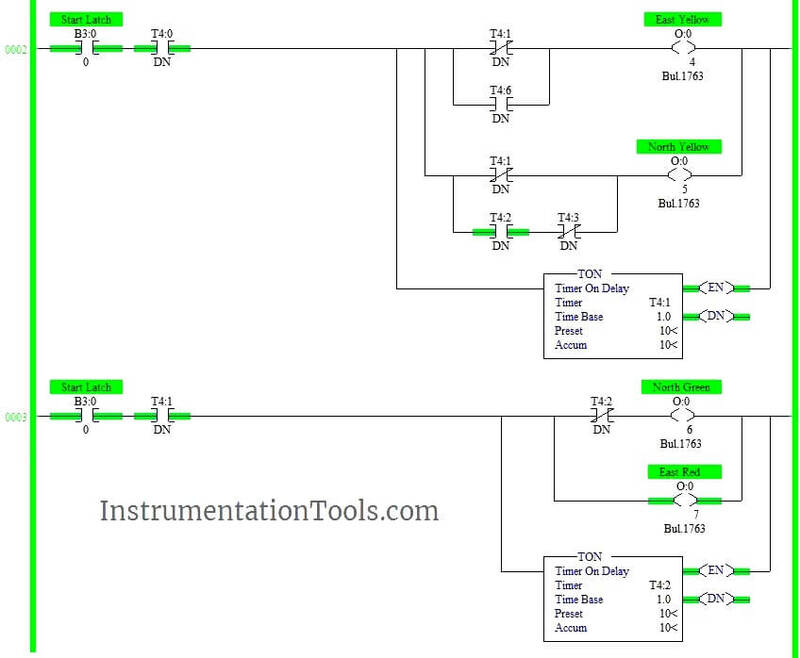 Parallel circuits are added to turn ON/OFF the output in up next sequence. Turning on North Yellow and East Yellow. Parallel circuits are added to turn ON/OFF the output in up next sequence. Turn on East Red and North Green. Time delay of 10s has given using timers. 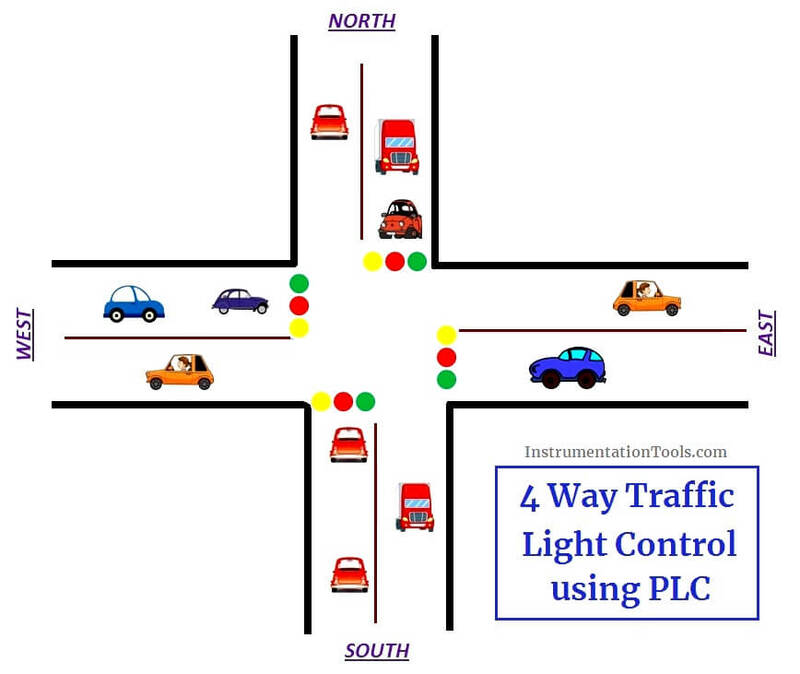 The above explained 4 ways traffic light control using PLC is for example only. It may vary from real time. 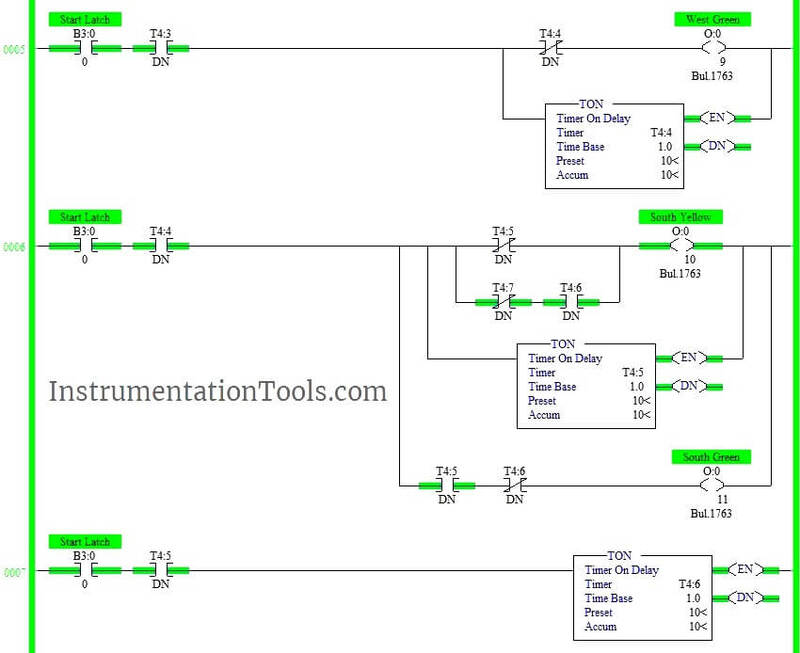 We can use this example program to understand the working of timers and Interlocking function in AB PLC.